*1.5cm has fallen in the last 24 hours in Niseko. 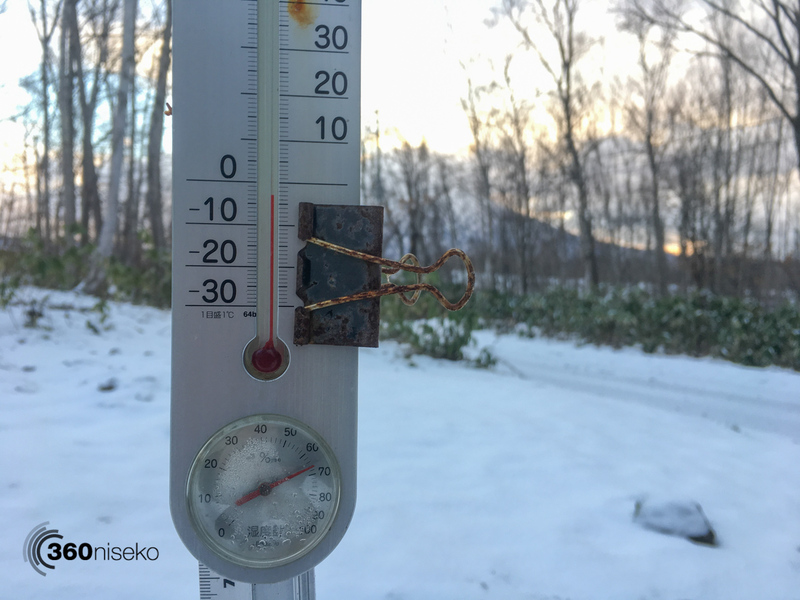 At 06:45 today the temperature was -3°C. A strong winter weather pattern has returned to the region and by this evening the powder machine should be in full force!! 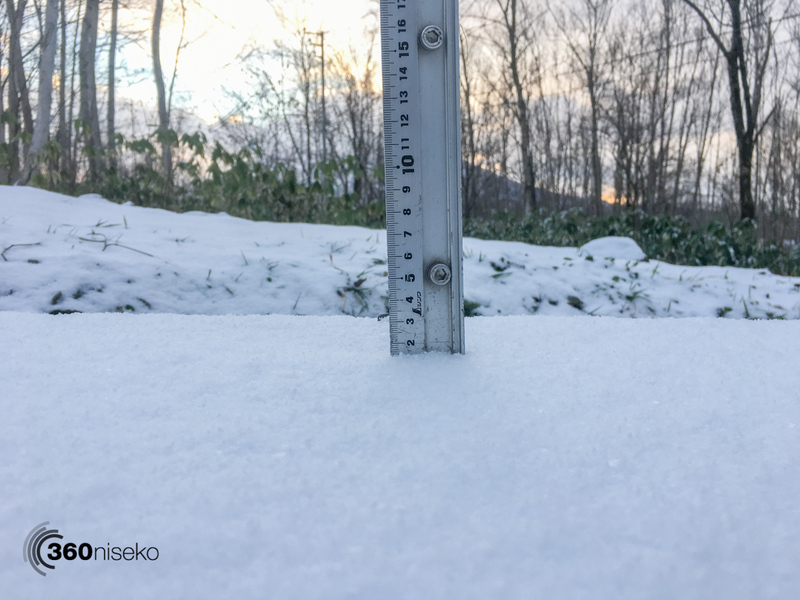 Not a a lot of snow down here on the 360niseko snow station but higher up it may be quite tasty – ankle deep powder turn? Would not say no to that!! !